To explore the metabolic responses of marine-derived Trichoderma fungi to environmental stresses, the survivability, metabolism, and antagonism of ten marine isolates have been examined. Their survival in both freshwater and seawater indicates them to be facultative marine fungi, but they are more adaptable to marine environment. Most of them feature strain-specific and positive metabolic responses to seawater, which also usually result in the higher proportions of heteroatom-bearing and unsaturated units in mycelial constituents. Seawater factors can promote many strains to produce bioactive metabolites, including plant pathogen- and marine phytoplankton-inhibitory and marine animal-toxic ones, but the effects of NaCl are often weak or negative. 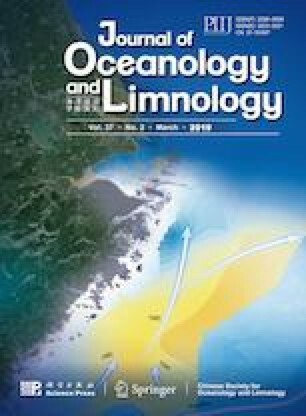 The inhibition of marine phytoplankton corresponds to the intracellular accumulation of heteroatom-bearing and unsaturated units under seawater condition, and the varied toxicities to marine animals further signify the divergences of lipophilic exudates under different conditions. The results may contribute to further understanding and mining the structural diversity and biological activity of secondary metabolites from marine-derived Trichoderma fungi.